Saban Films announced on Friday that it has acquired North American rights to the horror-thriller, “Tone-Deaf,” ahead of its world premiere at the 2019 SXSW Film Festival. 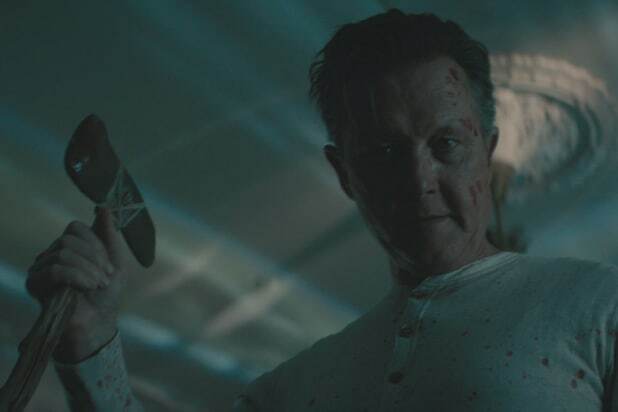 The film, directed by Richard Bates Jr., stars Robert Patrick (“Terminator 2: Judgement Day”) and Amanda Crew (“Silicon Valley”). “Tone-Deaf” follows millennial Olive (Crew) who, after losing her job and imploding her latest dysfunctional relationship, leaves the city for a weekend of peace in the country, only to discover the shockingly dark underbelly of rural America. She rents an eccentric, ornate country house from Harvey (Patrick), an old-fashioned widower who’s struggling to hide his psychopathic tendencies. Soon two generations collide with terrifying results in this home invasion horror film that is also a darkly comedic critique of the bizarre cultural and political climate that currently exists. The film was produced by Circle of Confusion’s Lawrence Mattis, Brad Mendelsohn and Matt Smith, and Best Medicine Productions’ Brion Hambel and Paul Jensen. Saban Films said in a release that it remains active in the acquisition and distribution space, with upcoming titles including: “The Haunting of Sharon Tate” starring Hilary Duff; Derrick Borte’s “American Dreamer” starring Jim Gaffigan; “The Professor,” the Wayne Roberts-directed drama starring Johnny Depp; and Sarah Daggar-Nickson’s “A Vigilante” starring Olivia Wilde. Saban Films continues to grow its presence in the industry with recent titles that include James Marsh’s “King of Thieves” starring Michael Caine, Jim Broadbent, Tom Courtenay and Michael Gambon; the anthology “Berlin, I Love You” with Helen Mirren, Keira Knightley and Jim Sturgess; the Gerard Butler starrer “The Vanishing;” and Alexandre Moors’ “The Yellow Birds” starring Tye Sheridan, Alden Ehrenreich, Toni Collette, Jason Patric, Jack Huston and Jennifer Aniston.